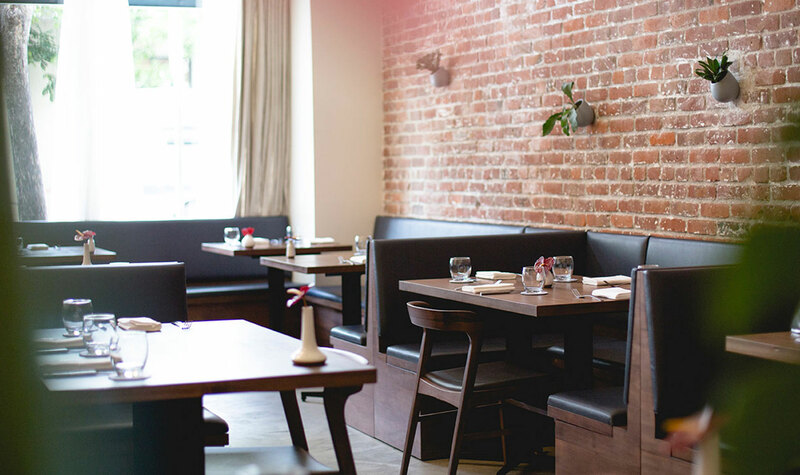 Casual and relaxed, the main dining room offers delicious food, well-crafted cocktails, and a thoughtfully curated wine selection. Gather around a table, share from our à la carte selection of snacks, plates and large-format, family style dishes, and enjoy the moment. Chefs Kajioka and Rush welcome you to the Chefs’ Counter to experience their multi- course tasting menu. 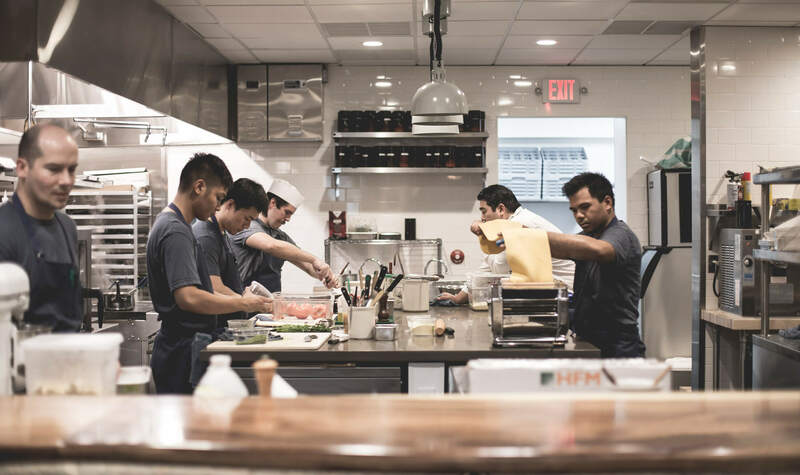 Senia’s kitchen is front and center and you are immersed in a dinner party-like environment where original, inspired and beautifully presented dishes comprise an extraordinary gastronomic journey. 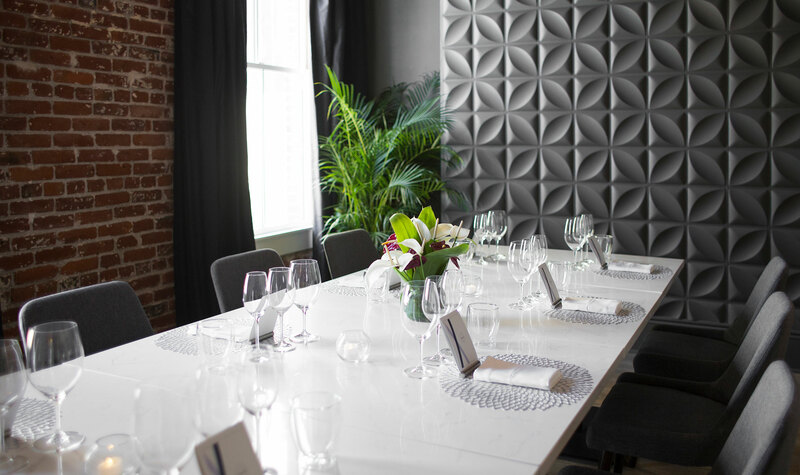 A chic, industrial space located above the restaurant in one of the building’s loft units, the private dining room accommodates up to 12 people for more intimate gatherings. Parties of up to 20 people, standing, can be also accommodated. We will cater to your needs, from drinks and canapés to seated, multi-course dining. Prix Fixe lunch menu with your choice of one 1st, 2nd, and 3rd course item.